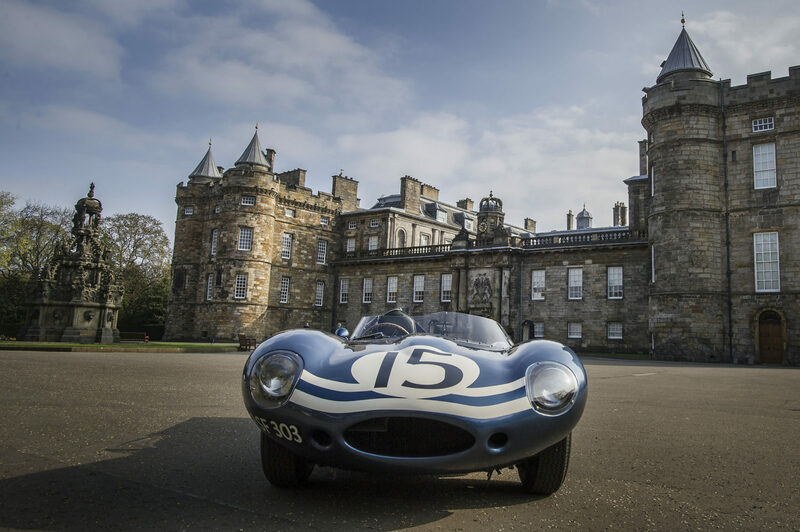 Concours of Elegance will be hosting a celebration of Scotland’s famous Ecurie Ecosse racing team, with the largest ever gathering of Ecurie cars at its 2015 event, held at the Palace of Holyroodhouse from 4-6 September. Ecurie Ecosse was formed in 1951, having been started by David Murray, Wilkie Wilkinson and Iain Stewart, and chalked up historic victories in the 1956 and 1957 Le Mans 24 Hours races. Its iconic metallic blue livery was also seen in Formula One and Formula Two and the name is still alive today, with a BMW Z4 GT3 competing in the British GT and international Blancpain GT Championship. On display at this year’s Concours of Elegance will be a notable selection of the team’s most famous cars throughout the years, including three C-types and two of the team’s hugely successful D-types. Even the legendary 1959 Commer Transporter will be on display. From more modern times, the Group C2 World Championship-winning 1986 Ecosse-Rover and current Ecurie Ecosse BMW Z4 GT3 will be on display.